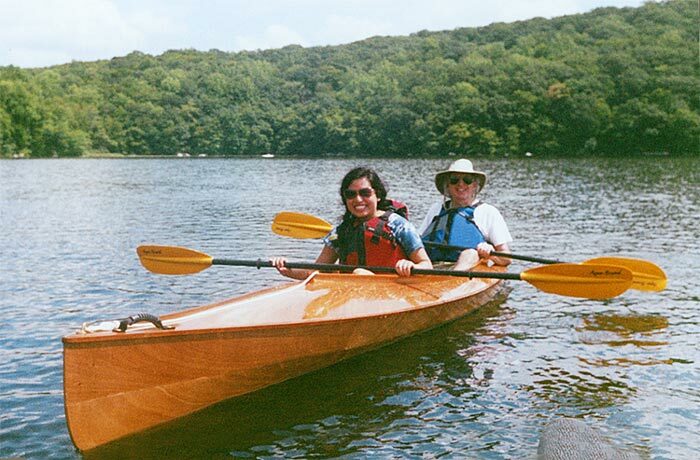 Peter Yudkoff and his kids, 16 and 11, built their Mill Creek kayak from a Chesapeake Light Craft kit. 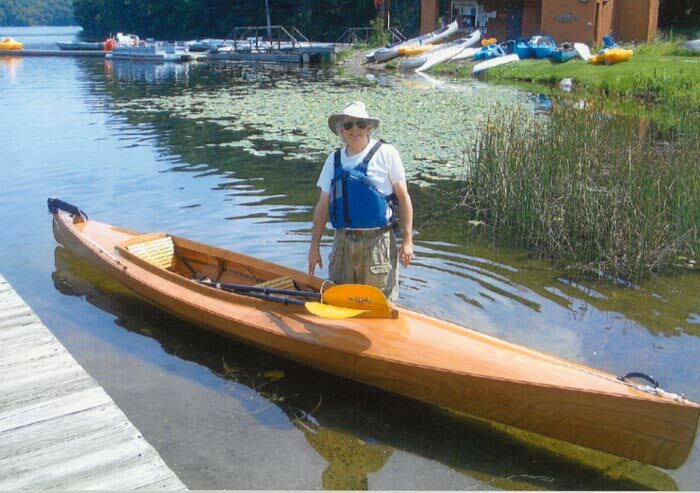 "This was our first boatbuilding project and it took us about 16 months," writes Peter. "The project was a big success: our kids discovered that, with patience and effort, a pile of wood could be turned in to a boat. There's no better way to teach children about plans, measuring, and safe tool use. An added bonus of working together was the opportunity for idle conversation--a treat any father with teenagers would appreciate. (It was also great to have cheap labor for all that sanding!)" 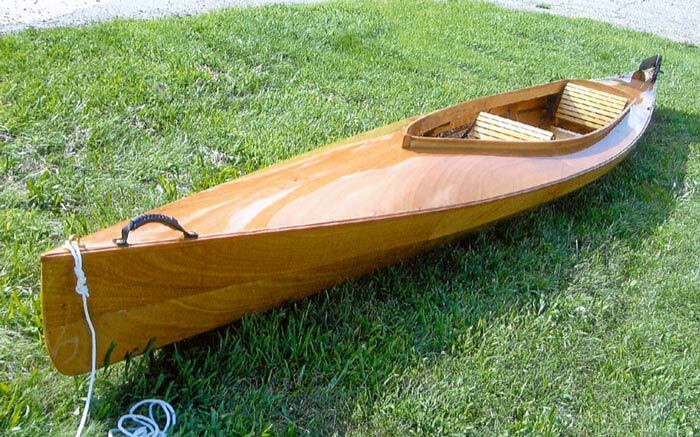 The Yudkoffs made one modification to the kit--they used a piece of mahogany shaped by their friend, Geoff Carter, for the rudder rest rather than the plastic one supplied with the kit. They report being very pleased with the kayak's stability and comfort.